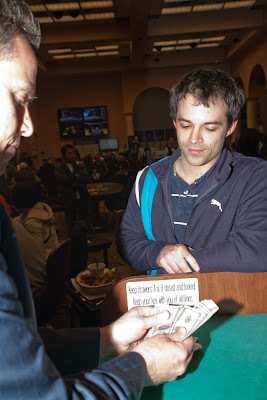 Brian Schmidt is the Day 1A chip leader with 187,700. He will collect $10,000 for his large stack. Day 1A - Cards in the air!